This week's stress relief photo was taken on the grounds of Castle Howard in Yorkshire, England. The yellow fields of rapeseed put on a magnificent display each spring. 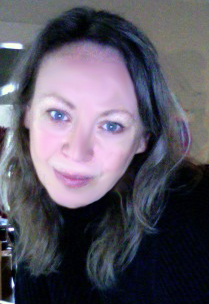 Caregiverlist invites you to enjoy the photo and share it with loved ones. 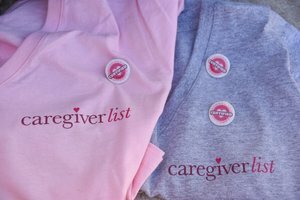 At Caregiverlist we know the realities of caregiver stress. Thank you caregivers and certified nursing aides for your hard work and caring for our seniors. Please refer your friends to apply for part-time and full-time job positions on Caregiverlist.com and visit our career center for additional career tools. Have a great week. Long-term care insurance policies require caregivers to be trained to meet the policy requirements. The caregiver training requirements will vary based on the policy but usually require a caregiver to have professional training meeting their state requirements or to be a Certified Nursing Assistant (C.N.A.) by passing the state C.N.A. training course and state exam. Learn about caregiver training requirements in your state to purchase training meeting your LTCI policy. With spring upon us and Earth Day this weekend, caregivers and their senior clients might be wondering what they can do to be environmentally friendly and get outdoors a little more. As a hobby, gardening offers a way to help the earth, grow your own healthy foods and relieve some stress. The Garden Compass app provides gardening assistance to caregivers and their senior clients. Caregivers and their senior clients can spend some time discussing what they'd like to plant in their garden before purchasing seeds. Seeds can be purchased online or at a retailer such as Home Depot. Once caregivers and their senior clients have decided what they'd like to plant and selected a location for their garden, then they can begin using the app. Users need to create an account upon initially opening the app. This can be done using a Facebook profile or email address. Then, caregivers can begin building their garden virtually. The app allows users to quickly scan the barcode on a plant to accurately add it to their garden. Alternatively, caregivers can search by the exact scientific name of their plant to add it to the list, or they can add a more generic category to the garden list. The generic categories include Annuals, Bulbs, Citrus and Avocado, Vegetables and Herbs, etc. In the free version of the app, users can add up to three different plants to their garden. This gives caregivers a chance to try the app and see if they like it, and then if they do they can upgrade to the paid version. The different garden selections are then used to populate the Care Calendar on a month-by-month basis. The Care Calendar gives caregivers specific advice on how to take care of each plant during that month. For example, during April it indicates which garden items can be planted during cold weather, and then it May it will detail which vegetables can be harvested. This will be particularly useful for senior caregivers and their clients who are new to gardening. If caregivers run into unexpected issues while tending to their garden, such as bugs eating their plants or the plants not growing as expected, the app also offers a pest identification service. Using this section of the app requires a credit, which users are given a few of for free upon signing up or can purchase. They then can snap a photo of their garden and upload it to the app. They can also include a comment, and then the experts will examine the photo and offer specific identification of the pest. The Garden Compass app is available for Apple and Android platforms. Professional senior caregivers now may take formal training curated to meet state licensing requirements for senior care. As Americans are living longer, while needing care for some of those years and end-of-life care, both professional and family caregivers may join the Professional Association of Caregivers to keep up with industry news and research. The online caregiver training delivers skills for safety for both the senior and caregiver. Learn how to communicate with seniors, understand age-related illnesses, medications, infection control, environmental safety, transfer skills from bed to wheelchair to walker and more. Join the P.A.C. 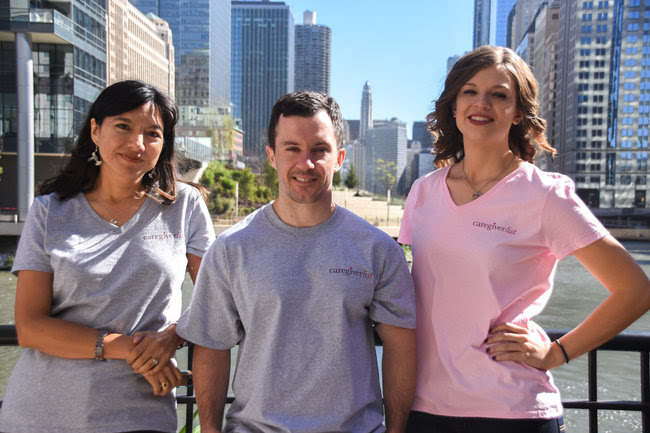 Professional Association of Caregivers to receive t-shirt, lapel pin and online caregiver training certification. For seniors, keeping the mind active is vital to preventing the onset of dementia. And for their caregivers, finding a way to relieve stress is paramount to a healthy lifestyle. The Penny Dell Crosswords app provides free daily crossword puzzles to meet both of these needs. When users first download the app and open it, they will be taken on a guided tour through the different areas in the app. These include the Daily Puzzle, the Puzzle Library and the Puzzle Store. Caregivers and their senior clients can complete the daily puzzle for free each day. When users navigate to the Daily Puzzle section, they will see options for level of difficulty. Caregivers can choose between an Easy, Medium or Hard puzzle. Since the app allows users to complete all three levels of difficulty on any given day, there are actually three puzzles available for free each day. Once caregivers have selected a puzzle, the app will highlight each row one at a time and display the clue. Users simply need to use the keyboard on their phone to type in the answers. The app will then automatically bring up the clue and number of spaces for the next question. Caregivers can use the arrows on the sides to skip back and forth between clues. The settings at the top of the app allow caregivers to decide whether or not they'd like the app to highlight incorrect answers. This feature might be helpful because then caregivers and their senior clients will know immediately if they should edit a response before they move onto other clues that share letters with the first response. Caregivers might enjoy spending half an hour alone in the app, figuring out the clues as a form of stress-relief. This could be a good way to take your mind off the stress of the day and focus on relaxing. For senior clients, it provides a form of exercise for the mind by requiring recall of words and definitions. Caregivers could even team up with their senior clients to work on a crossword puzzle together. The Penny Dell Crisswords App is available for Apple platforms.